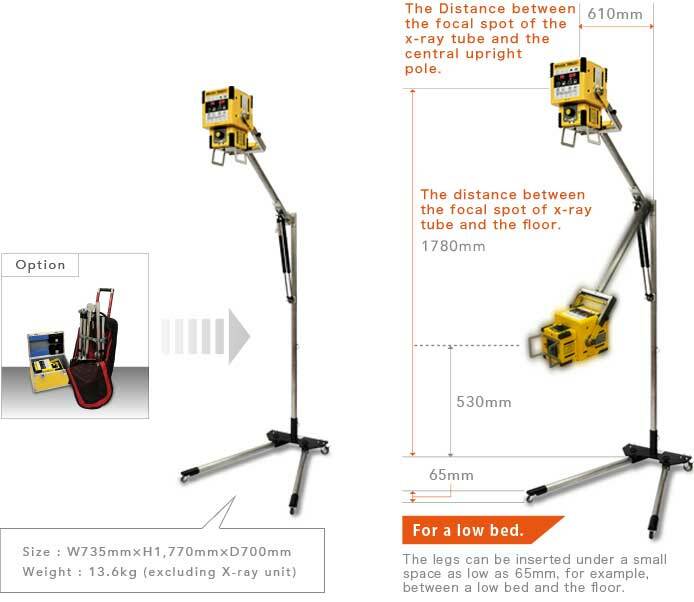 Description: The TR9030V is the high spec version of the HF8020. 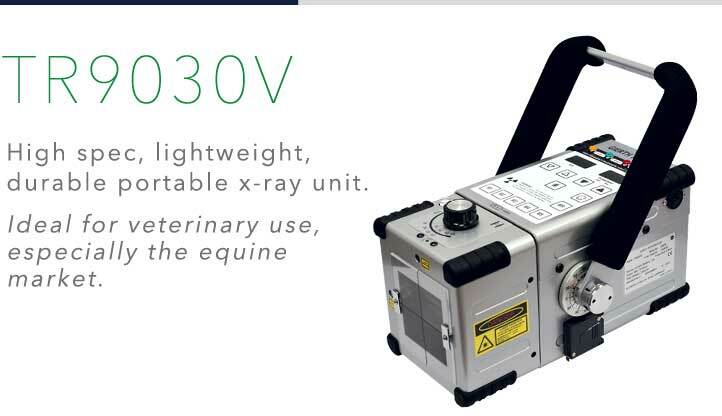 The maximum 90kV facilitates radiography of most equine body parts. The highly durable protective casing and low input voltage operation are unique features of this model. The unit has 5 memory stations for storing x-ray exposure techniques. It is compatible with all major DR digital systems. A dual laser pointer in the collimator centers to align your SID. The compact size makes it easy to transport and it is suitable for the equine and small animal markets. 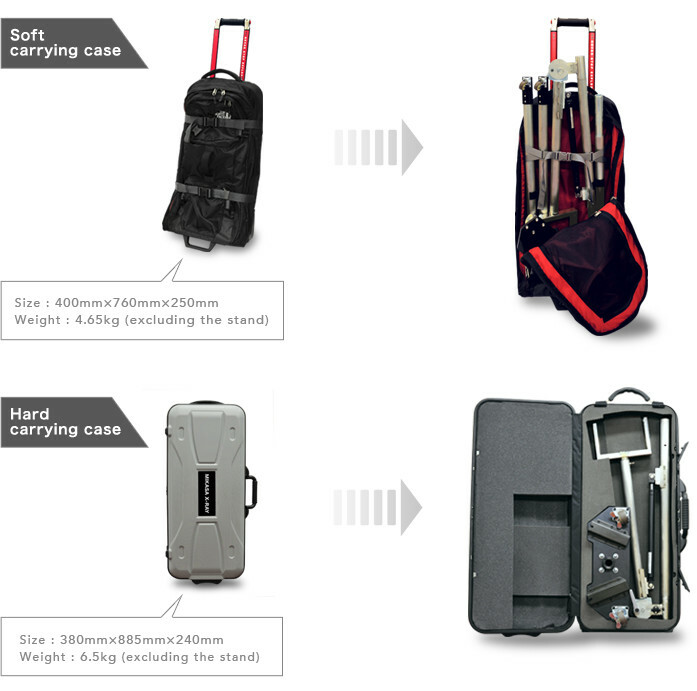 A hard carrying case is available for safe and easy transportation. The MS-Ⅲ is a mobile x-ray stand that is easy to dismantle for maximum portability. This is a lightweight and compact stand. A gas spring balance system facilitates easy and smooth vertical movement. It is easy to assemble and store. A carrying case is available for easy transportation. A choice of soft or hard carrying cases are available. These cases provide safe, compact storage of the disassembled parts of MS-Ⅲ x-ray stand enables easy transportation. They are both mounted on casters.